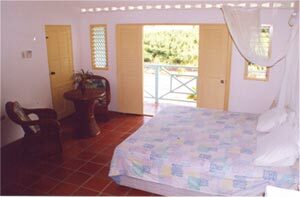 This attractively decorated 10 apartment holiday complex that was opened in May 1997 is located on the south side of Tobago just 10 minutes by car from the magnificent long white beach at Buccoo Bay. From the main beaches of the island it’s only 15 minutes by car and you will find a supermarket only 1 km away. 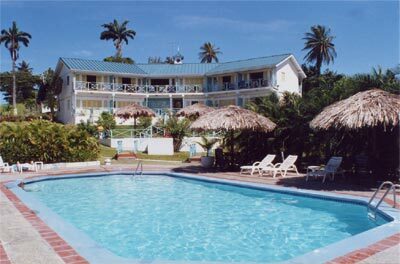 The apartments are available on two levels, all with balconies facing the beautifully manicured garden and pool. Each apartment has a fully equipped kitchenette (with refrigerator, hotplate and a coffee maker). Bathroom with shower, sink with hot and cold running water, and ceiling fans. The four apartments on the ground floor are equipped with air conditioning. Clean towels and tea towels are available with daily cleaning of apartments. You have a choice of double or single bed with the possibility of adding a third single bed. Adjoining rooms are available upon request. 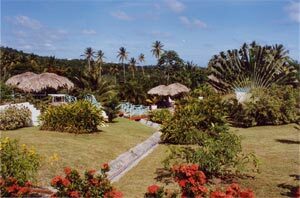 Two excellent, 18-hole golf courses are a distance of just 10 minutes by car, water sports, boat and island excursions, off-road touring (on a payment basis), rental of mountain bikes, shuttle at your request to Pigeon Point Beach.